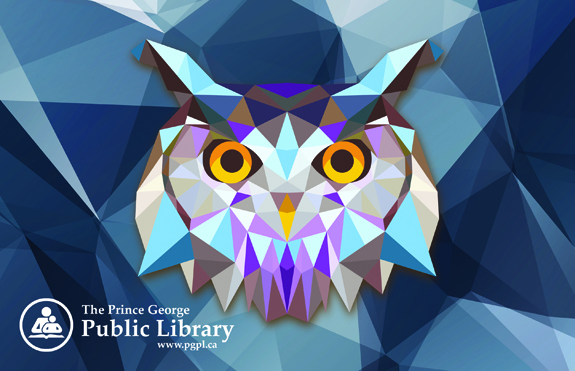 Library cards are available for free to all Prince George residents and for residents in the areas of the Regional District of Fraser-Fort George covered under our service agreement. Those living outside the library’s service area may purchase a library membership for $120 per year. 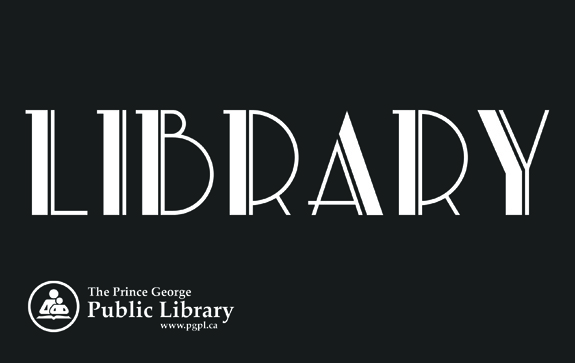 Temporary residents of the City of Prince George may also join the library for a fee of $5 per month, with a $10 refundable deposit payable at the time the card is issued. If you have just moved to the Prince George area and do not yet have a piece of identification that includes your new address, simply present one piece of personal identification and we will issue a temporary card. You then have one month from the registration date to provide proof of your new address and phone number. For children under 12 applying for a card, the child’s parent or guardian must present a copy of the child’s birth certificate or Care Card at the time of registration, as well as present personal ID that includes the parent/guardian's current address. Please note that parents assume responsibility for items borrowed by their children and are required to sign a statement of responsibility at the time of registration. A parent/guardian whose own library account is expired or suspended cannot sign for a child’s library card. By signing the “Family/Group User Consent” form, you consent to the disclosure of your personal information, including items borrowed, holds placed, and bills owing, to all of the other current and future members of the Family/Group. Members of a Family/Group may use the library card of any other member of the group in order to borrow materials, manage holds, or pay bills on behalf of that group member. Due to privacy legislation, library customers are not permitted to access the personal information of account holders who have not consented to join their Family/Group account, and may not borrow materials or manage holds on behalf of other library customers. A parent/legal guardian may access the account information of a child under the age of 12 years if he/she provides proof that he/she lives at the same residence as the child and the other parent/legal guardian. One member of the Family/Group may be designated to receive hold and bill notices for all members of the Family/Group. Holds must be checked out using the same card that was used to place the hold. Any member of the Group may check out the hold as long as they present the card that was used to place the hold at the time of checkout. The “Parent/Legal Guardian” designation is used for adults with one or more child cardholders in the Family/Group account. Those members with the designation “Parent/Legal Guardian” are linked to the bills of other Group members. The “Parent/Legal Guardian” inherits the account status from the “worst-case” user who is included in the Group. This means, for example, if a Child card is Blocked, the Parent/Legal Guardian card will also be Blocked. “Blocked” status suspends borrowing and Internet privileges at the Library until the situation is resolved. The “Spouse/Partner” designation is used for two Adults with no linked Child Cardholders.Those members with the designation “Spouse/Partner” are not linked to the bills of the other “Spouse/Partner”. This means that a “Spouse/Partner” is not affected by the account status of the other. The “Child” designation is used for all persons under the age of 19 linked to a “Parent/Legal Guardian” within a Group. All members of the same “Group” must sign the “Family/Group User Consent” form except for children under 12 years of age. Once a person turns 12 years of age, he/she may contact the Library either to provide signed consent to continue being a part of the Group or request that he/she be withdrawn from the Group. Until instructed otherwise, the Library assumes the individual turning 12 wishes to remain in the Group. All members of the same Group aged 19 years or older are responsible for their own charges and materials. Once a person turns 19 years of age, he/she may contact the Library to indicate whether he/she wishes to remain a part of the same Group. If so, his/her designation will change to “Spouse/Partner” to ensure he/she is responsible for his/her own charges and materials. Until instructed otherwise, the Library assumes the individual turning 19 wishes to remain in the Group with his/her existing designation. The addition of any new member to the Group must include signed consent from the Group Contact and the new member (see Family/Group User Consent form). A Group member’s account must be clear of all bills before it can be removed from a Group. Deceased persons will be removed from the Group on notification. The withdrawal of any member from a Group needs the signed consent of the member leaving the group or of the member’s Parent/Legal Guardian as applicable. Persons younger than 12 years of age must have signed permission of the Parent/Legal Guardian to withdraw from the Group. If you are a library customer who is not interested in borrowing materials and who only needs access to an internet computer, or if you already have a library card but your account is expired or suspended because of fees owed, the library's Internet Card service is for you! Register for an Internet Card and you will enjoy access to the library's internet computers for up to 2 hours per day, regardless of the status of your account. Visit the library checkout desk for more information. Bring your valid BC public library card and current ID with your name and address on it to any participating public library in BC. Ask them for a BC OneCard. Once you've got your BC OneCard, you can borrow materials at that library! Please note that each public library has different rules about what you can borrow. You'll have to ask them for the details. When you're done using your library items, simply return them to any participating public library in BC. Your books are considered "returned" once they arrive back at their home library. You may have a maximum of 10 items checked out on your BC OneCard at one time. You may borrow books, graphic novels, magazines, Music CDs, and Books on CD. You may not borrow DVDs/Blu-Rays, Video Games, Book Express items, Kits, or Book Club Sets. You may renew any renewable item once. You may only access our subscription databases while in the library. You may not use interlibrary loan services or place holds. 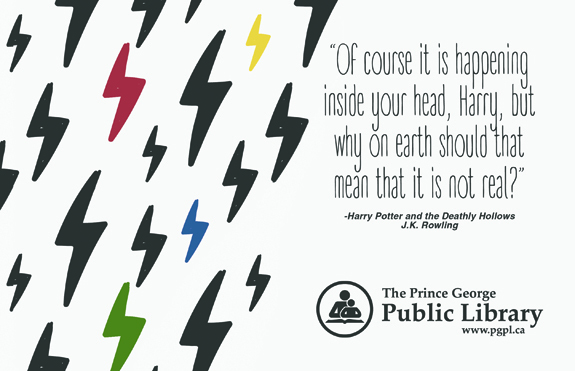 You may return your items to any participating public library within BC. Your borrowed items are considered "returned" when they arrive back at our library. Any materials damaged/lost en route from another library are the responsibility of the cardholder. If you return an item late, you are responsible for overdue fees of $0.20 per item per day. For more information on the BC OneCard program, please visit the BC Libraries website. If your library card is lost or stolen, please report it to the library immediately, in order to prevent your card from being used by someone else. Any material borrowed using your card is your responsibility until the card is reported missing. Your first replacement card is provided at no charge. Subsequent replacement cards are available for a $2.00 fee. If you have forgotten to bring your library card with you to the library and would still like to borrow library material, simply present a piece of identification to a staff member at the checkout desk. It is important to keep your account information up to date. If you are moving, or if you have a change in other personal information, please advise the staff at the library checkout desk. Loan periods for library materials vary. Check below for details regarding loan periods and renewal limits for different item types. Material returned late is considered overdue and the following fees apply. Patrons are expected to pay outstanding fees as soon as possible. If items are more than 28 days overdue, or if unpaid fees exceed $15.00 on a library account, library privileges are temporarily suspended. Patrons must pay outstanding fees before their library privileges can be reinstated. If you forget to return an item before its due date, you will be notified by email, phone or mail when the item is 7 days overdue. An invoice for the replacement cost of the item will be sent when the item is 28 days overdue. The library may use a collection agency when our efforts have failed to encourage the return of borrowed items and the payment of outstanding fees.